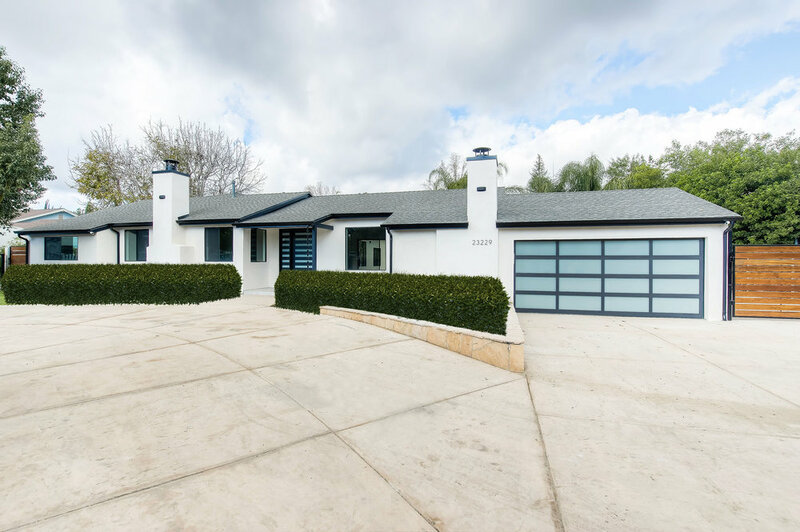 Spazio LA is excited to showcase our latest project, this beautiful complete interior and exterior remodel in Woodland Hills, California. 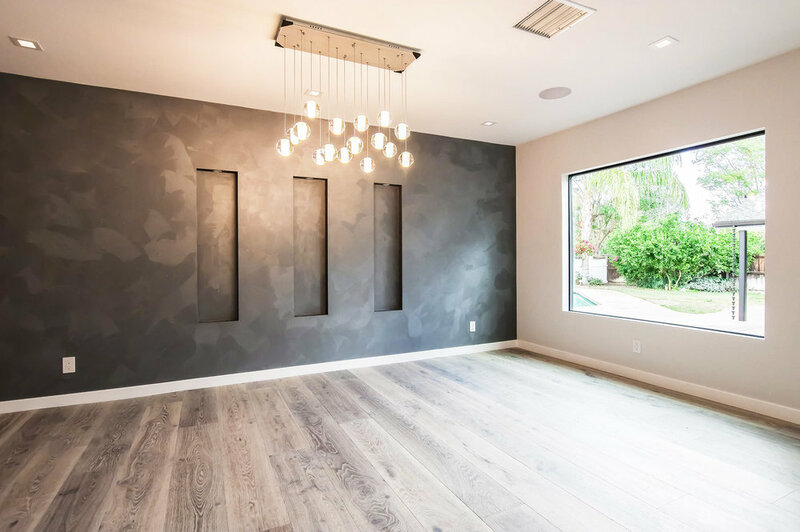 The outdated house 2,304 sqft 4 bedrooms and 3 bathrooms house was completed transformed into a bright, modern space in a less than 6 months. Click below to check out all the photos and the before & after of this amazing transformation! The new guest bathroom included handmade custom cement tile floors, frameless shower, wood looking porcelain tile walls, black finish fixtures and finish for a contrast looking and custom made one piece cement counter and sink. The new master bathroom includes a custom made double vanity with flat panel black stained wood cabinets, Ceasarstone quartz countertops, frameless glass showers and wood looking porcelain tile walls. 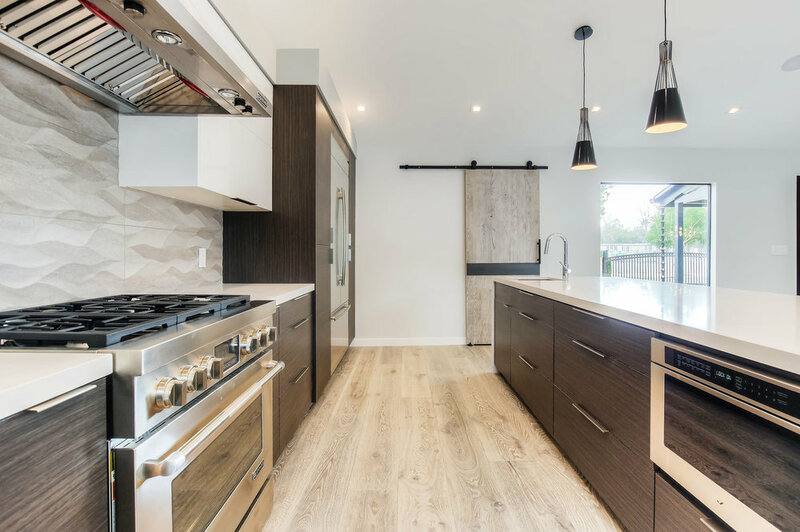 New large open floor kitchen features custom-made flat panel cabinets, waterfall island, quartz countertops, Porcelanosa porcelain tile backsplash, built in fridge and custom barn door. The new dinning room includes a new large window facing the backyard and pool, Venetian plaster walls with velvet finish and hardwood floors. 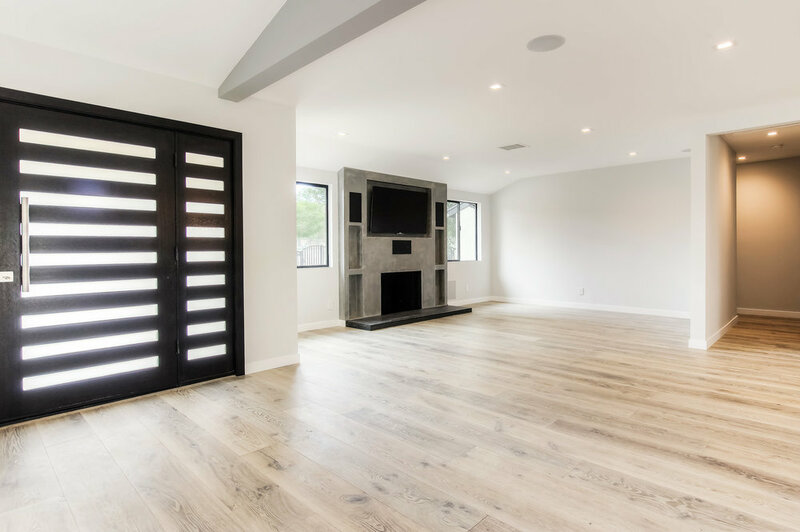 The living room features light hardwood floors, custom fireplace with Venetian plaster walls, solid mahogany and glass front door and built in speakers throughout the space. The outside patio and inside cabana by the pool include red wood t&g ceilings, black aluminum windows and Brazilian ipe wood deck. New exterior with laminated glass garage doors, Ipe wood gate and solid mahogany and glass doors. Bedroom with light hardwood floors and custom closet doors. The master bedroom walk in closet was complete redone and included custom shelving and matching hardwood floors.